I owe it to my friend Carlie for sharing this soup with me. It is beyond yummy!! My absolute favorite! Just before serving, place the sour cream in a serving bowl or soup tureen. 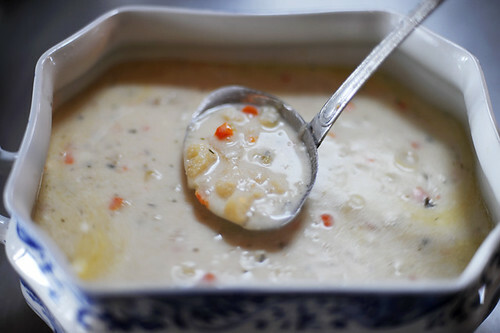 Add two to three ladles of hot soup into the tureen and stir to combine with the sour cream. Pour in remaining soup and stir. Serve immediately. humm. i am going to have to wipe the drool off my keyboard now and think about making something else for dinner, since i have no Cauliflower.